18 oz. 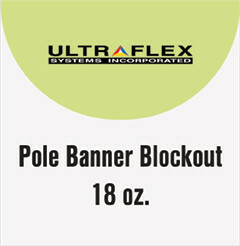 heavy duty matte blockout banner material. Uniquely woven 1000 x 1000 scrim provides strength and stability under harsh weather conditions. Designed for 2 sided applications where complete opacity is necessary.